Bestselling author Mark Kurlansky discusses his new book, WORLD WITHOUT FISH (Workman, 2011). He tells “The WildLife” host Laurel Neme how the health and future of fish and their habitats affect us all. He also provides tips on how anyone can make a difference. 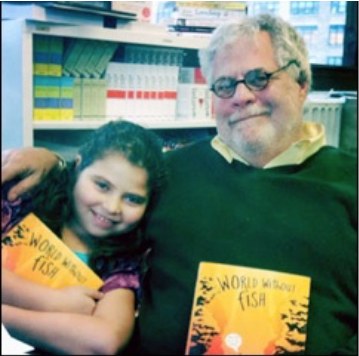 Mark’s 10-year-old daughter and fishing companion, Talia Kurlansky, vetted each chapter and helped her dad make sure that WORLD WITHOUT FISH contained no boring parts and would be equally enjoyable to children and adults. Toward the end of the episode, my 9-year old son, Jackson Neme, interviews Talia about her views on the book, marine life and what kids can do to stop overfishing.